In December 2015, Google started testing an adwords update with 4 ads at the top of search results. The news lead to a lot of speculation in the SEO and PPC community, but for several months only 1% of SERPs were populated with top ads. On February 18, 2016, the percentage of top ad blocks displaying 4 ads increased to 18,9%. Five days later, this percentage doubled. Over 36.4% of Moz’s 5,980 page-1 SERPS tracking data showed 4 top ads. Right-rail ads were also completely removed from most commercial queries. They will now be displayed as 4 ads on top and 3 ads at the bottom. Not much has changed in the SERPs, with the exception of the extra fourth listing, the top three ads look the same as before. 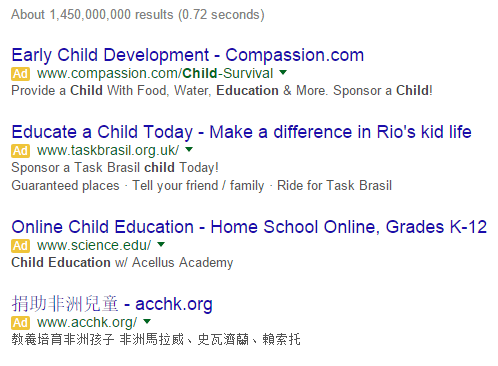 On a positive note, search engine results pages feel less cluttered, thanks to the removal of side-bar ads. We conducted high-volume searches for keywords such as “laptops”, “bridesmaid dresses”, “wedding dresses”, and car “insurance”. Although Google suggested that 4-ad blocks would only appear on highly commercial searches, we wanted to see if there are any exceptions. I think we can all agree that this isn’t a commercial query. The same results showed up for queries such as “habitat for humanity” and “bible verses”. Needless to say, Google has the most to win from this update. Since ads represent 90% of Google’s revenue, many SEOs suspect that the company’s move was purely commercial. Despite the fact that the 4-top ads are now more prominent, Moz’s data reveals that Google has taken an overall 41.1% drop in Adwords. This leads us to believe that Google is trying to bring its search results closer to the mobile experience and to standardize its ecosystem, since mobile never supported the right ad column in the first place. Google’s update, which affects queries in all languages may shake up the game, but we will learn to adapt adequately. As is the case with most major updates, there will be winners and losers on both sides. Advertisers were delighted when news of the 4-top ads broke out in December, 2015. But the disappearance of right-rail ads does raise some concerns. 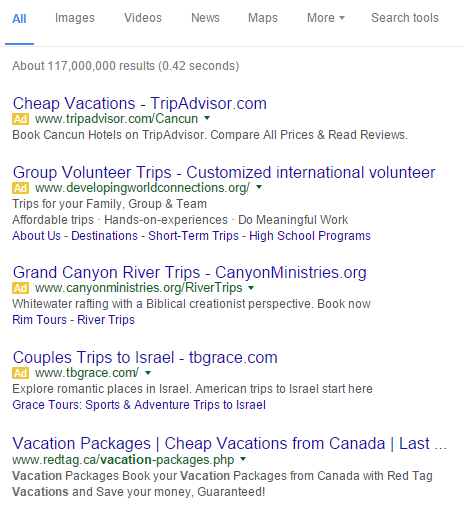 Before the update 11 ads were displayed on SERPs (8 on the side and 3 at the top). Now, only 7 ads are displayed per page (4 on top and 3 at the bottom). Nevertheless, fewer ads doesn’t mean less revenue for Google. 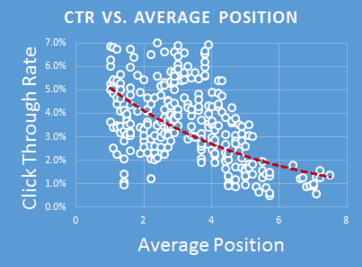 Ads that appeared on the right side typically had much lower click-through-rates (below 1%), while the CTR of the top 3 ads exceeds 4%. By moving the fourth result from the right rail to the top of the page, ad revenue for this new position will increase dramatically. Naturally, this also means increased costs for advertisers. Since Google is restricting number of above the fold ads, prices will face upwards pressure. Because there are limited ad positions, we speculate that marketers will shift their focus towards long-tail key phrases, in hopes of achieving better ad position with them. The winners of this update are marketers who are already ranking on the top paid 3 positions, the lucky ones who are moved on the fourth position, and companies that can afford biding more for top ad positions. Unless small and medium sized businesses start bidding for less competitive long-tails, they will probably be pushed at the bottom of the 1st page (which is not necessarily a bad thing). Finally, having a presence in the knowledge panel, becomes more important than ever before. Right rail ads have been replaced with relevant knowledge graph results. This change is consistent with the search engine’s philosophy of displaying less results, which will probably lead to an increase in CPCs. Marketers will definitely attempt to gain entry into the Graph. Some searches will also display Product Listing Ads (PLAs). This means that companies that have optimized for PLAs will have a lot to win after this update. The ad format change will further marginalize organic results. 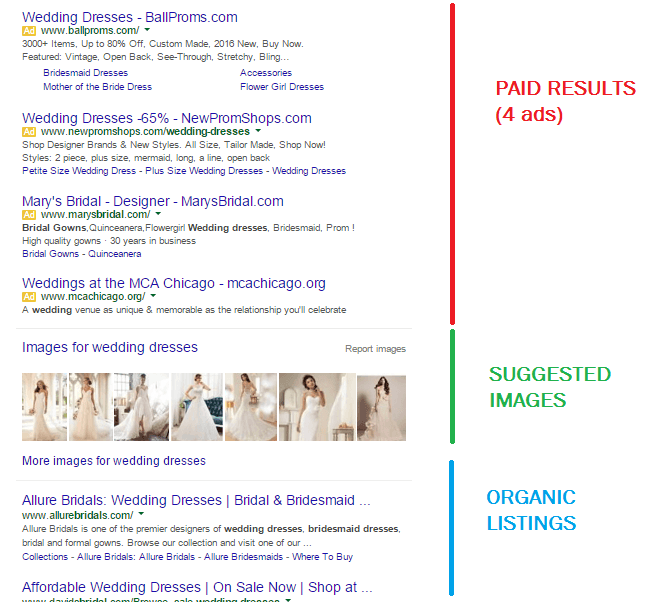 The addition of the fourth ad above the fold means that organic listings will be pushed even lower. Organic results were almost invisible for many commercial queries already, so the AdWords shake-up is making the already crowded SEO market feel even more crowded. While many argue that the update is yet another nail in the SEO coffin, many experts believe that the change demonstrates how important high-quality SEO is. 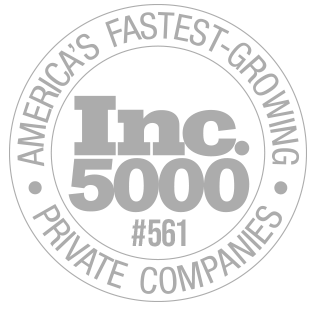 On a positive note, users have always preferred organic listings while searching information on a product. Even if 4 ads appear above the fold now, this will not necessarily impact top organic positions. 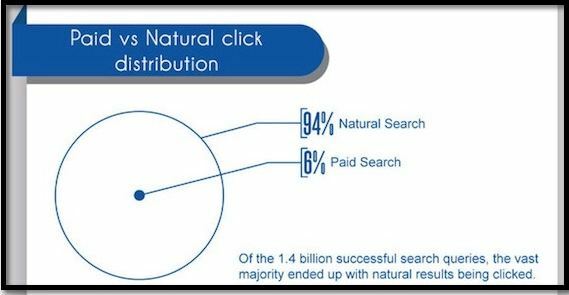 A 2012 study conducted by GroupM UK and Nielsen demonstrated that users will overwhelmingly choose natural results over paid ones. These values may shift in favour of paid listings, but we are confident that organic results will continue to remain relevant. If you are thinking of shifting your budget to Bing, you may want to think again. It seems that Bing is planning on adopting a similar approach very soon. Google has made the importance of mobile very clear. Last April, it changed its algorithm to reward mobile-friendly websites and punish unfriendly ones. The AdWords shakeup is indicative of Google’s desire to improve the mobile search experience. Although no changes have been made to mobile result pages yet, the AdWords shakeup is another attempt of Google to standardize the advertising ecosystem across different technologies, while also making some extra money, of course. The SERPs are extremely volatile right now and it is too soon to tell how these changes will affect paid and organic listings over the coming weeks. We will keep you updated with information on CPC, ad CTR changes, and any other information that we find relevant for this update.